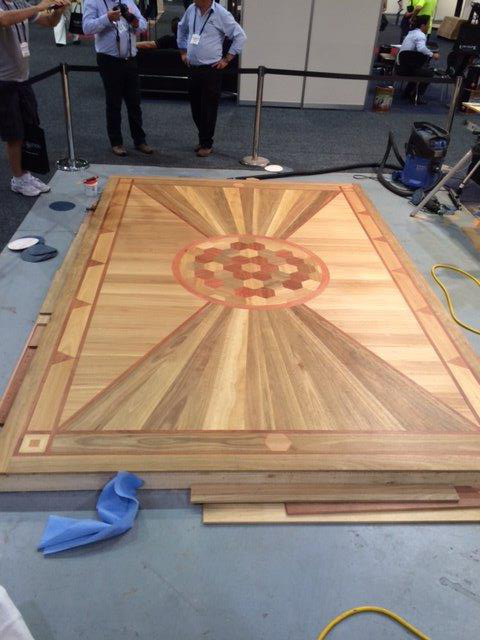 The world is your oyster when it comes to custom made flooring & parquetry. We can make anything for you in any design & pattern from any source of timber. We can design a floor off your plan or work out a design with you on site to suit your needs. Locally, Lindsay & our experienced contractors have over the last 30 years used their attention to detail & design skills to create beautiful floors for our clients. 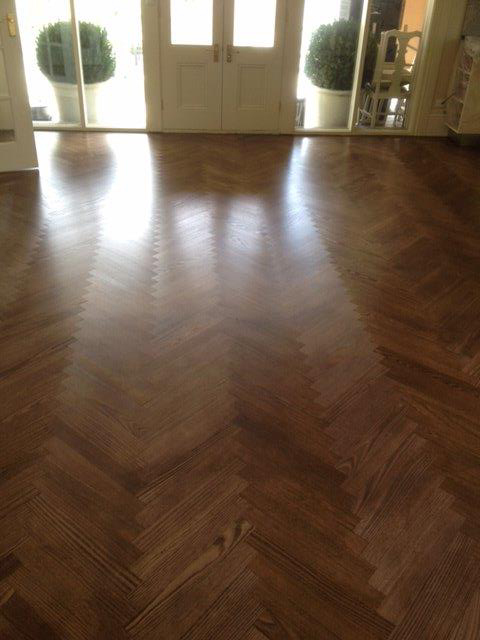 Did you know that parquetry, which in Old French ‘parchet’ started out in that late 1600’s as large diagonal squares known as ‘parquet de menuiseire’ (woodwork parquet’) as a replacement for marble, which required constant washing & would rot the joists beneath the floors! ‘Parchets en losange’ were designed in a late Baroque Style at the Palace of Versailles in France under the reign of King Louis 14th in the 1690’s. This is still one of the most popular & exclusive designs used today! These wood floor designs were originally fixed with hot bitumen, but as technology has progressed we now use Non-toxic adhesives which allow the timber to expand & contract without cracking & install over concrete or timber sub-floors. 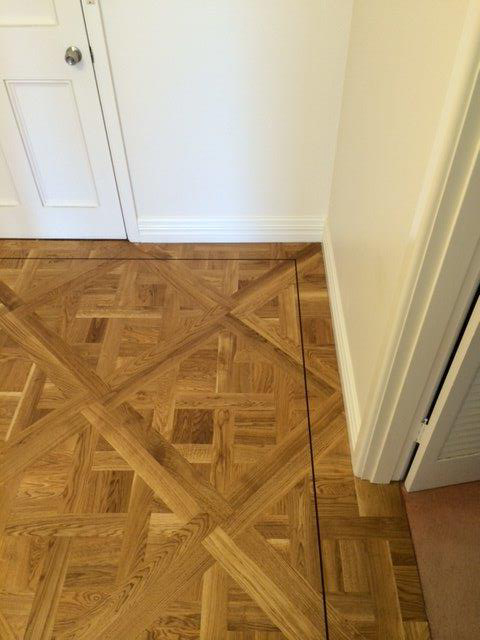 Our repertoire of intricate parquetry designs with Australian, exotic & European timbers made on site, to patented parquetry panels designed hundreds of years ago in the UK & Europe means you can have confidence in our ability & maintenance of these floors over time. We are able to make new boards to match in as closely as possible with your existing timber floors, or we can create a timeline of timber to highlight the history & future of your home. We offer solid parquetry blocks, panel parquetry in a plethora of designs & even engineered parquetry blocks. Anything can be custom made to suit your use.